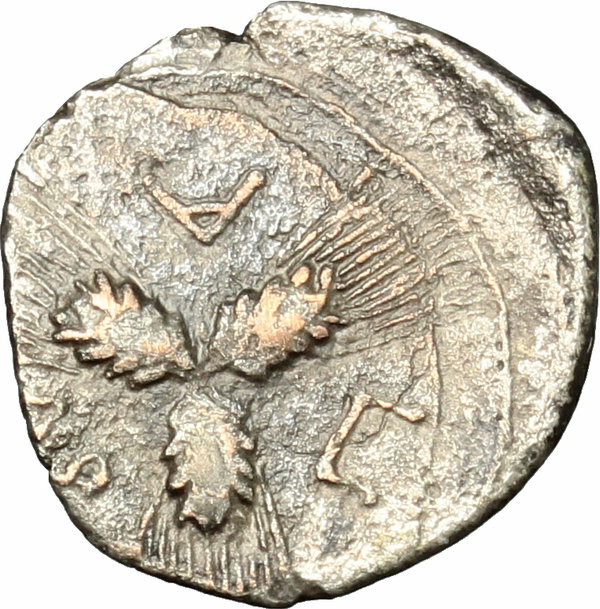 Coins 18 Greek Italy. Northern Apulia, Arpi. 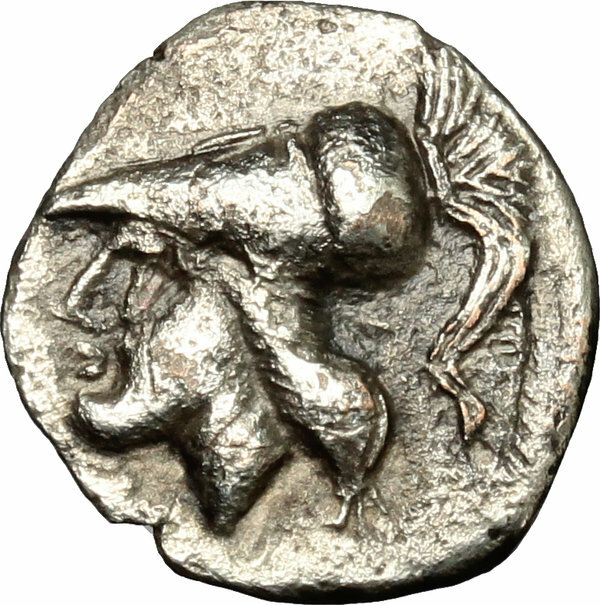 AR Triobol, c. 215-212 BC. D/ Helmeted head of Athena left. R/ AP-Π-A. Three grain ears conjoined at the stem. HN Italy 646. Siciliano, Arpi, B,1. AR. g. 1.37 mm. 15.00 R. Rare. Struck on debased flan. VF.